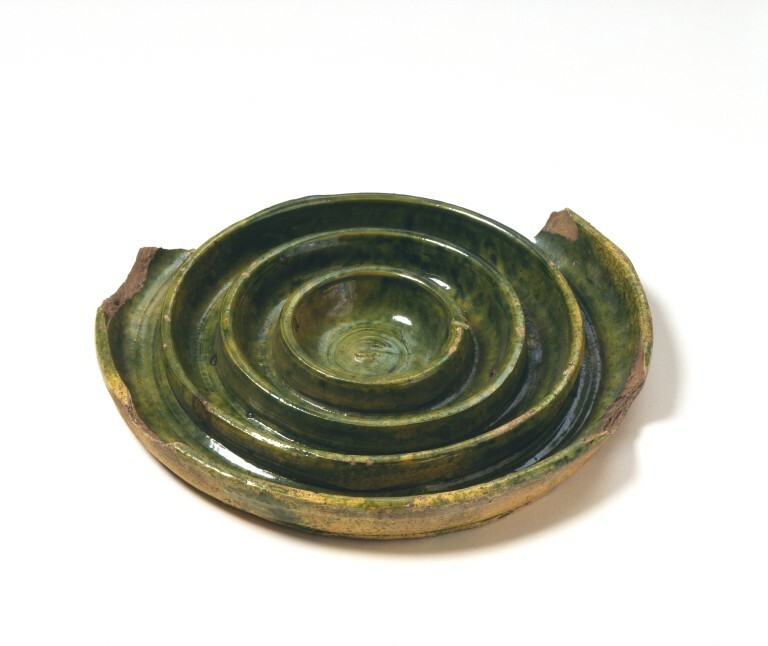 This earthenware disc with deep concentric channels has various possible agricultural uses, but that of a chicken feeder is the most plausible. Corn or even water would be held in the rings and not scattered into the farmyard mud with the wild pecking of the chicks. This type of earthenware takes its name from the area where it was made, on the borders of Hampshire and Surrey. Rich deposits of white clay were found there. Formerly in the Cato Collection; found in Moorfields, LondonSurrey-Hampshire borders, "Border Ware"